WEBWIRE – Homegrown Colorado homebuilder, Epic Homes, was recently honored with a prestigious Silver Award at the National Association of Home Builders’ The Nationals℠ new home sales and marketing awards gala, held this past January 10th at the International Builders’ Show in Orlando, Florida. Presented by the NAHB’s National Sales and Marketing Council, and serving as the nation’s largest competition for new-home sales and marketing professionals and communities, The Nationals℠ salutes and honors the best in the building industry for their determination, integrity, creativity and endurance. During a three-day judging process, a diverse panel of seven industry professionals from across the country determined the Silver award winners from a field of over 1,100 entries. Silver Award Winners are the top vote recipients in each category. Epic Homes received a 2017 Silver Award for Best Architectural Design, Detached Home 3,501 to 4,000 sf. 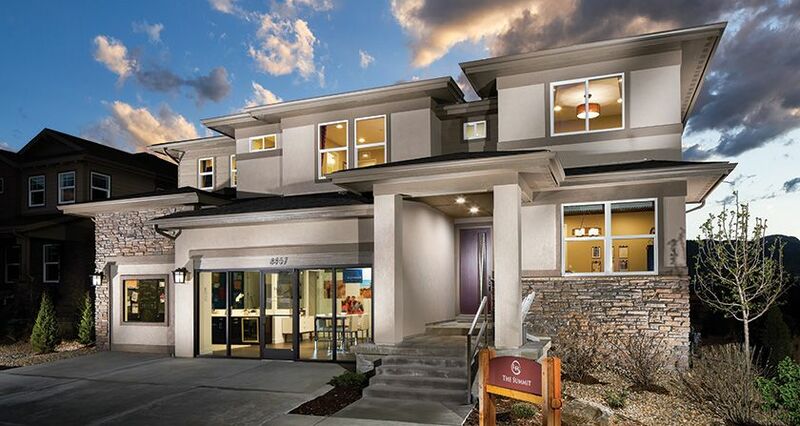 for its Summit plan, featured in the successful Leyden Rock master-planned community in Arvada, Colorado.